I had taken a railway journey to its terminus, where I alighted. I had to ascend a rather steep, sandy hillock which I climbed without difficulty. After surmounting it I descended and soon entered a small seaside town that had an especially blessed atmosphere. The sun was blazing on the water and over the houses. All was peace and joy, and the people were radiantly happy. Their complete openness to each other and to me was wonderful. Then there appeared three priestlike figures with cowls, reminiscent of monks. They blessed me. At once I realized I was among the deceased, and I said the blessing: "May the souls of the departed through the mercy of God rest in peace." Glorious as I found the atmosphere, I knew I had to return to complete my work in this world, and could not spend any more time in this heavenly place. I then awoke in a state of calm benediction. 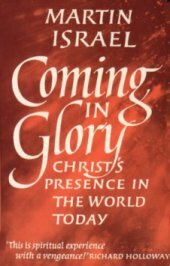 The theme of this book is the advent of Christ, the Word of God, in the universe. He was in the beginning the one through whom order was created out of chaos, seen in our world supremely as the foundation of an ordered human society. He is incarnate in the souls of all rational creatures, finding his summation in the person of Jesus of Nazareth. In him the Word was perfectly made flesh as he dwelt with the creatures of this world and died among them, sharing their agony. Through his eternal self-giving he raised the consciousness of the creature to a grasp of reality, that transcended the self, embracing the world, and eventually identifying the risen self with the entire created order. He is with us fully when we are fully human; the task of humanity is the lifting up of all creation to a knowledge of God, the raising up of the dead to new life. When we are ready, when we have given up ourselves fully to God's service and have sacrificed ourselves for the good of all, a new life will come to us also, and we will see him as he really is. And so the Word at the beginning shows himself as the Word made flesh. When that Word is deeply incarnate in all humanity, we will be changed and see him as he is, the Word triumphant. The inner revelation that sparked off this book came after a severe illness that occurred about six months before I commenced writing. In the early period of convalescence which was complicated by a severe bout of depression, I felt completely cut off from the usual source of my creativity. Prayer, which is usually the staple of my life, could then be carried out only by rote, for I was encompassed in a darkness that resembled a pea-soup type of fog. At the same time I was excessively sensitive emotionally, and past memories came flooding into my mind: I was overwhelmed by mental pain almost too acute to bear. But I continued praying for others, though no one needed prayer more than I. Suddenly one morning I was aware of a blue light in my spiritual horizon, such as is customary when I normally pray and am involved in the ministry of healing. This was my first indication that I had turned the corner of my depression, and was now able to see something of the spiritual realm once more. Soon after this crucial experience of God's light I had an inner vision of the redemptive work of Christ in the individual soul. I was shown that the darkness symbolized a radical purgation of the inner life of all that was egoistical, so that, freed of all mundane dross, the soul could now be the repository of the light of God, to which St John likens the advent of Christ in the world. I realized how imperfect had been the list of my priorities in the past, how I had concerned myself about such ephemeral matters as status and income when my life should have been dedicated entirely to God and my fellow creatures, how providential had been my severe illness. I had been saved by my continued practice of prayer when all seemed futile. Then Christ had in truth been born in my soul, and a new conception of his incarnation in the entire cosmos had been vouchsafed me. I had started this book with the idea of the second coming as its essential theme. Now at last I realized that Christ has been coming since the start of creation, and his final appearance is as much contingent on our ability to receive him as on the inscrutable will of God. and their young shall lie down together. and the young child dance over the viper's nest. so shall the land be filled with the knowledge of the Lord. Scriptural quotations are taken from the New English Bible, second edition © 1970 by permission of Oxford and Cambridge University Presses.